The beautiful town of Gallipoli, whose centre is on an island connected to the mainland by a limestone bridge built in the seventeenth century, offers tourists who want to visit the Salento and Apulia, a great starting point. 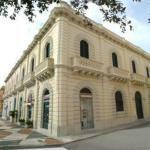 For instance, to visit the nearby Lecce, with its splendid palaces, churches and places of historical interest. The sea side hotels in Gallipoli are suitable for a family score. On the waterfront, but also in the old town of Gallipoli, 3 star and 4 star hotels are available. 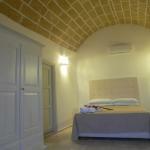 The hotel offer in Gallipoli also includes cheap hotels and B & B. Select travel dates and find all available hotels in Gallipoli, check out guests reviews and locate properties on Gallipoli city maps, book your favourite accommodation with no pre-payment. All rates are in Euros and inclusive of all taxes. 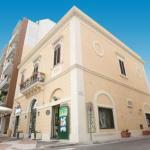 Palazzo Vergine I Due Mari has a strategic position in the new town of Gallipoli, near the sea. 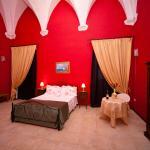 The Hotel Panorama is only a short distance from the most beautiful attractions of Salento. The Bed & Breakfast Dimora San Vincenzo is situated in the old town of Gallipoli, less than 2 km away from the railway station of the city. The hotel offers a shuttle service to the Karol Wojtyla airport of Bari. In an enviable location in Gallipoli, near the railway station, the beach and the charming historical centre, there is the old nineteenth-century building hosting Palazzo Angelelli.